She looks wonderful in that pink dress. She has to eat a tiny bit more, her legs are so very thin. The beautiful woman and mother has to reduce botox to her face. Or is it just photoshop? The colour of that Valentino dress is perfect. The dressed down outfit looks appropriate to the event. 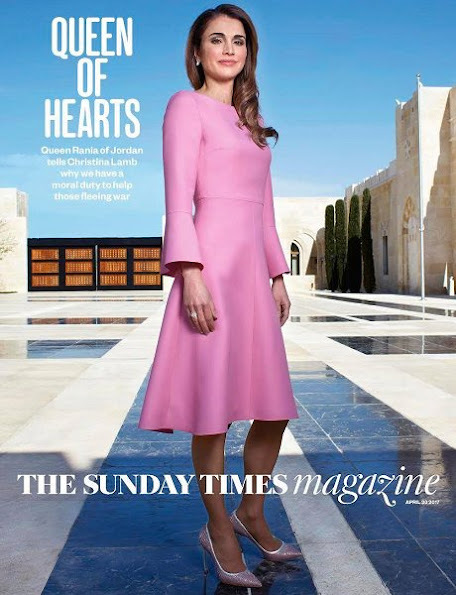 Love the cut, style and colour of the pink dress. Don't love the close-up of her face as her nose looks a bit "funny" - don't know if it's odd contouring, bizarre Photoshop or a bit too much surgery but something's just a tiny bit "off". 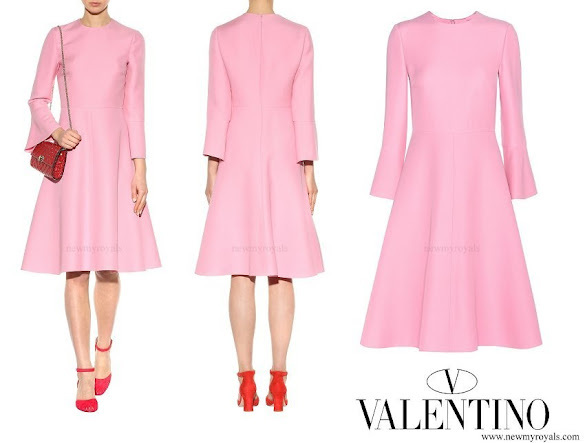 In the last few years I rarely like her outfits, but the Valentino dress is a dream, perfect cut, clásic, and with a trendy touch with the sleeves, it is difficult to wear pink, but this shade is delicious. She does look a little weird in that close up, partly because of photo-shop, and partly because she seems to have quite a bit of fillers & Botox.